Here’s all you need to know about the 3rd match of BBL-8 between Sydney Thunder and Melbourne Stars from Manuka Oval, Canberra. BBL 2018-19 Live Cricket Streaming, Sydney Thunder vs Melbourne Stars: The eighth edition of one of the most followed T20 competition across the world – Big Bash League has got off to an emphatic start. In the season opener, defending champs Adelaide Strikers defeated Brisbane Heat by 5 wickets to start their campaign in a grand fashion. Whereas in the second match, Melbourne Renegades registered an impressive victory over title favourites Perth Scorchers. In the third match of BBL-8, Melbourne Stars would be hoping to get off to a similar start of their namesake (Melbourne Renegades) when they take on Shane Watson led-Sydney Thunder at the Manuka Oval in Canberra. It will be a neutral game for both the teams and their first outing in this edition of the league. The Thunder didn’t have the best of the seasons last time around as they ended at the sixth position in the points table. They are boosted with the presence of Jos Buttler and Joe Root in the line-up while the new coach Shane Bond also brings a lot to the table. On the other hand, the Stars endured one of their worst editions in the BBL 2017-18 edition. They finished eighth in the table with only a couple of wins in 10 matches. 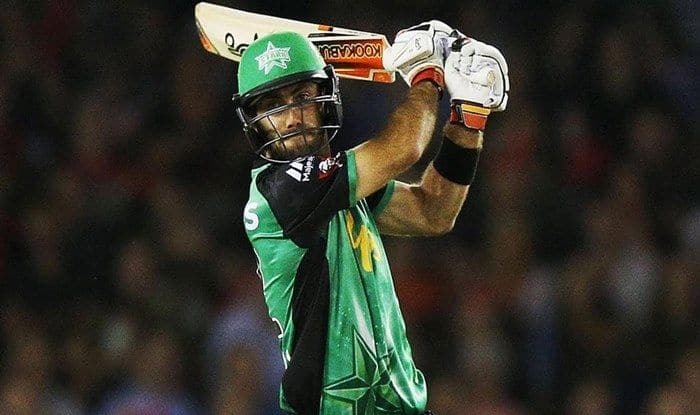 They have named Glenn Maxwell as their skipper for this season and he will be tipped to lead from the front even as the other T20 specialists will look to make an impact. Here’s all you need to know about the 3rd match of of BBL-8 between Sydney Thunder and Melbourne Stars. What time does the Sydney Thunder vs Melbourne Stars match in the BBL-8 starts? Where is the Sydney Thunder vs Melbourne Stars match in the BBL-8 being played? The Sydney Thunder vs Melbourne Stars match will be played at the BBL-8 at the Manuka Oval, Canberra. Which TV channels will live telecast (in India) the Sydney Thunder vs Melbourne Stars match in the BBL-8? Sydney Thunder vs Melbourne Stars match in the BBL-8 will be live telecasted on Sony Sports Network in India. How to watch the free online live streaming of Sydney Thunder vs Melbourne Stars match in the BBL-8? The free online live streaming of Sydney Thunder vs Melbourne Stars match in the BBL-8 will be available on Sony Liv app and Jio TV. What are the probable playing XIs of Sydney Thunder vs Melbourne Stars match in BBL-8? Sydney Thunder Probable XI: Shane Watson (C), Jos Buttler (wk), Joe Root, Callum Ferguson, Jason Sangha, Nathan McAndrew, Fawad Ahmed, Gurinder Sandhu, Jono Cook, Chris Green, Sam Rainbird/Daniel Sams.